However, striking a terrorist organization’s tunnel complex in a country the organization did not even exist in until after the US established a presence there over 16 years ago, does not seem to project “strength” at all, but rather weakness, or perhaps even conspiracy. The growing complexity of the Afghan conflict and America’s mired presence there also fails to project the sort of “strength” Washington appears intent on demonstrating worldwide. And if the use of a GBU-43/B weapon was meant to project “strength” to America’s enemies, the message failed to reach Afghanistan’s Taliban, who has consistently challenged, confounded and even reversed American objectives in the Central Asian state for over a decade and a half. 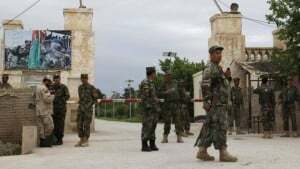 More than 100 Afghan soldiers were killed or wounded in a Taliban attack on an army base on Friday, the defence ministry has confirmed. Fighting lasted for several hours near the city of Mazar-e Sharif in northern Balkh province. The raid shows the Taliban can plan and carry out complex attacks. The militants said four of the attackers had served as soldiers for a long time and had knowledge of every corner of the base. 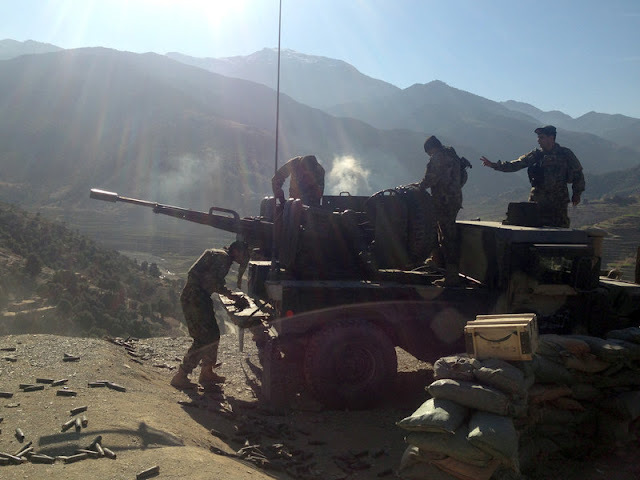 Also in March the Taliban said they had captured the crucial south Afghan district of Sangin after a year-long battle. The attack along with other activities of the Taliban, then, bears the hallmarks of a deeply rooted resistance against both the US occupation and the US-backed regime and the military forces propped up to protect it both in Kabul and across the country. That the base targeted by the recent attack also reportedly garrisoned German troops is also significant. The prospect of ending such attacks or securing any sort of “victory” over the Taliban and the local tribes allied to it is as unlikely now as a US victory was in Vietnam during the 1970’s. Efforts to “rebuild” Afghanistan have suffered from a lack of genuine participation and shared vision from among the Afghans working with foreign contractors. In turn, foreign contractors seek to fulfill their contracts and spend their money back home, clearly indifferent to whether or not their efforts “transform” Afghanistan into the ideal client state Washington envisions. Corruption both among local Afghans participating in the US-backed regime, and the contractors charged with working beside them has grown to a pandemic. Record amounts of money have been lost with little “on the ground” to show for it. With the very heart of US efforts undermined by America’s own self-serving drive for power and wealth, and with the Taliban weathering America’s longest war in its history and still carrying out “complex attacks” and taking back entire districts, America and its client regime face what is clearly an insurmountable battle against a determined, indigenous enemy. Compounding this is the fact that Afghanistan’s neighbors (those nations actually sharing a border with Afghanistan, unlike the US), are determined to broker peace deals within the country between various groups for the sake of internal and regional stability. By doing so, the Taliban have been able to work toward achieving a certain degree of political legitimacy both within Afghanistan, and more importantly, beyond its borders, securing them bases of support beyond America’s and its client regime’s ability to strike, all but ensuring perpetual resistance. Also worth asking is; why the so-called “international community,” and in particular, the United Nations, remains indifferent to America’s occupation of Afghanistan and its 16 years of warfare there, or the US coalition devastation of Yemen, and instead, so focused on obstructing Syria’s efforts to restore order and security within its borders? The US-led “international order” is suffering serious setbacks, increasing resistance from alternative centers of global power and appears increasingly unstable. But an “international order” indifferent to both human life and global stability most likely should be undermined and dismantled, and with all possible expediency.